Bet you will never forget the Tang Dynasty thriller where The Drunken Master was caught with his pants down in a cross fire between 2 feuding Bandit Gangs as he was slurping his last strand of the long noodles in hot soup upstairs beside the Pink Flower Blossom and had to summon all his deft chop stick & wine hardened skills to save himself from certain death ! Ah ! 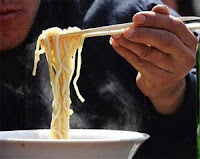 Chopsticks , men & noodles... what a deadly combination ! Over on this side into the present time , things are not so dramatic. 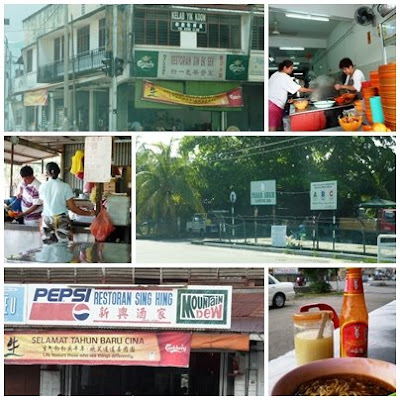 Proudly presenting noodles of Kg Koh , a vibrant ( yet dying wooden village of township proportions ) near ACS Sitiawan , Perak. 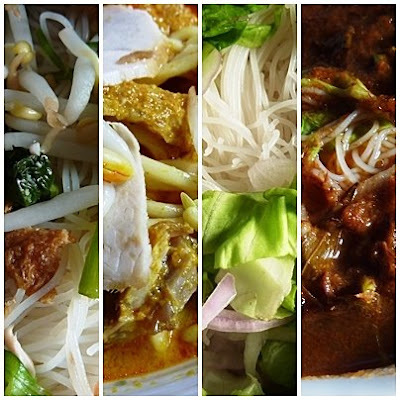 Have a Kg Koh Noodles Day , today ! cha yuee mian...it's been a long time since I had that! ohhh kam puang for me pls!! Hardly a day goes by without mee getting my noodles-fix. The red wine soup noodles looked vicious and authentic Foochow! Chopsticks, wine and noodle, a lethal combination, though not exactly in that order. Kg Koh serves up a mean variety, it'd take quite a bit of wine to get through that! Loh Mee is my fav! 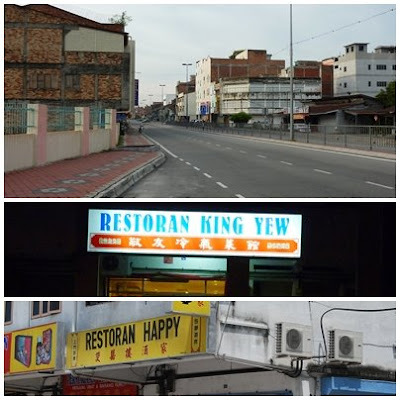 Where can I get one in KL?!?! coming 2 + 1 free ! 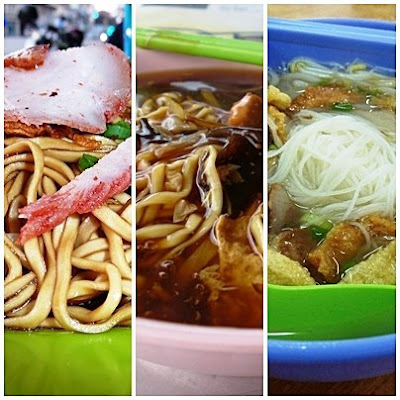 the only lor mee (Sitiawan style ) you want you can only get from bangsar Babe ! OMG damn good post! 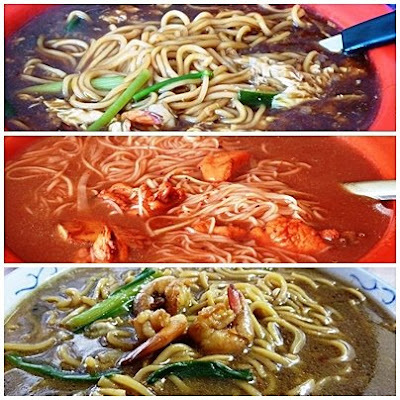 I miss ang chio mee sua man. Havent eaten them for ages. can only get the Lor Mee from bangsar Babe eh?! bangsarB makes them on a regular basis ! maybe she shud have a party ! see above comments for the hope to come Big Party !